AMDT faculty Drs. 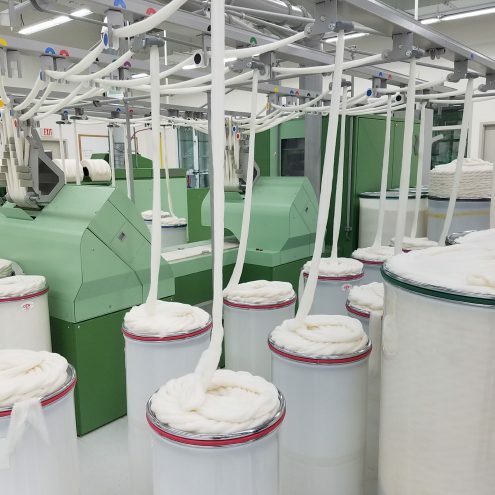 Ting Chi and Hang Liu received educational grants from Cotton Incorporated to support AMDT students in learning about cotton products and their impacts on consumers, the economy and the environment. 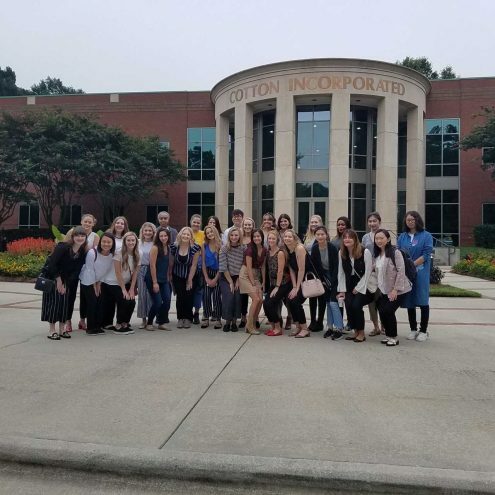 As part of this learning experience, Cotton Incorporated provided funding to support a faculty-led study trip to its headquarters in Cary, North Carolina, where students visited R&D labs, product development studios, and the marketing/ supply chain unit. They also met executives, scientists, product developers, and marketers in the cotton textile and apparel industry. 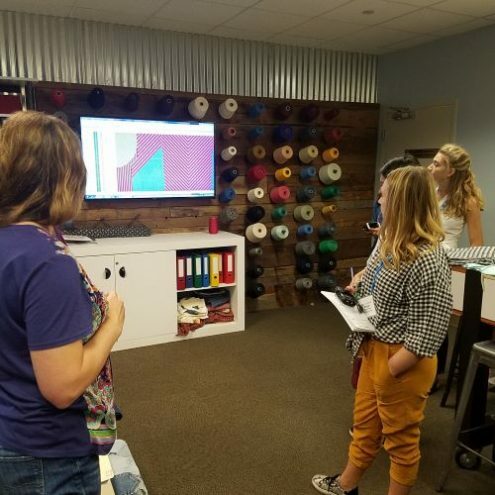 Students were able to travel across the country to learn more about cotton and sustainability, but when students were not required to be present for events it allowed them a chance to explore the Raleigh area, local universities, and try traditional southern cuisine. 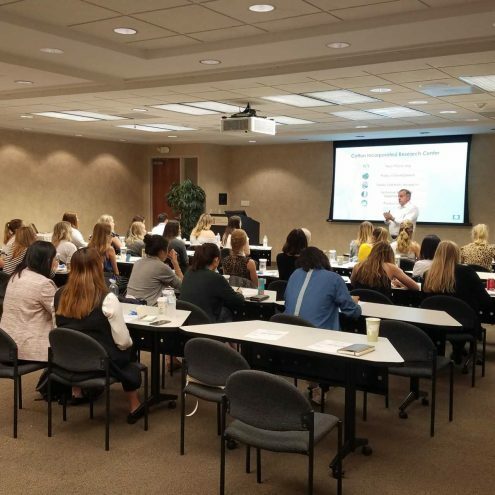 During their time at Cotton Incorporated students were able to hear from speakers like Mark Messura, who is the Senior Vice President of the Global supply Chain Marketing Division and a member of the AMDT advisory board. 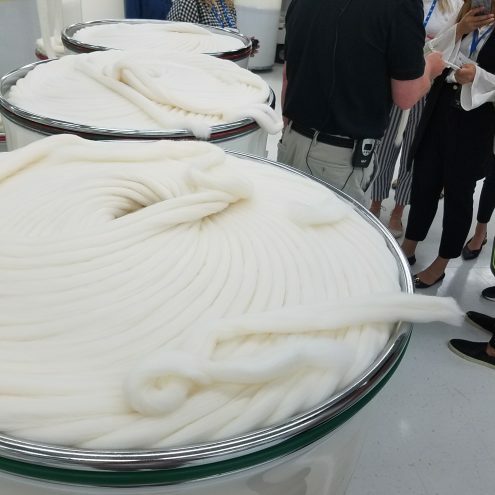 After a lecture about Cotton Incorporated and how the company started, what they do today, and their plans for the future; students were taken on a tour of the facilities where they were able to learn directly from industry professionals and encouraged to ask questions while they saw the future of cotton sustainability. 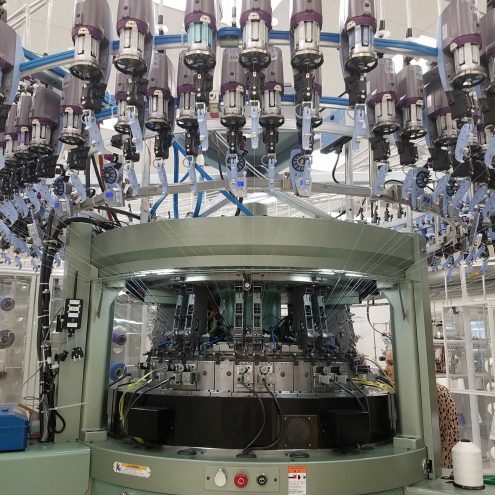 The toured facilities including fiber processing, product development, dyeing and finishing, and product evaluation.